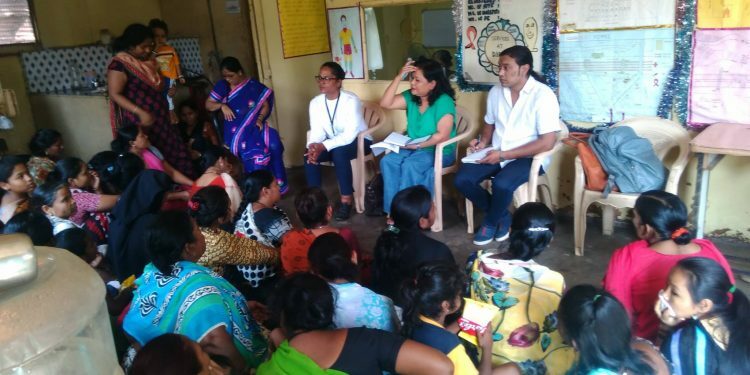 Alliance HIV India visited the Sahara Aalhad DIC at Pimpri and conducted 2 Focus Group Discussions (FGD), the first with Female Partners/Spouses and the second with Women Who Use Drugs. The day started with an Introduction by Pemu Bhutia ( Alliance regional technical support unit – South Asia) and Suthirtha Dutta – Program Officer – Alliance HIV India) who came to facilitate the visit. The Staff were introduced to the Female participants and the Visitors. The first FGD started at 11am and ended at 3pm. Topics of Intimate Partner, Domestic, Social, Familial, and other kinds of Violence. The participants were asked to share their own experiences in this regard. Many women shared their experiences with regards to violence. 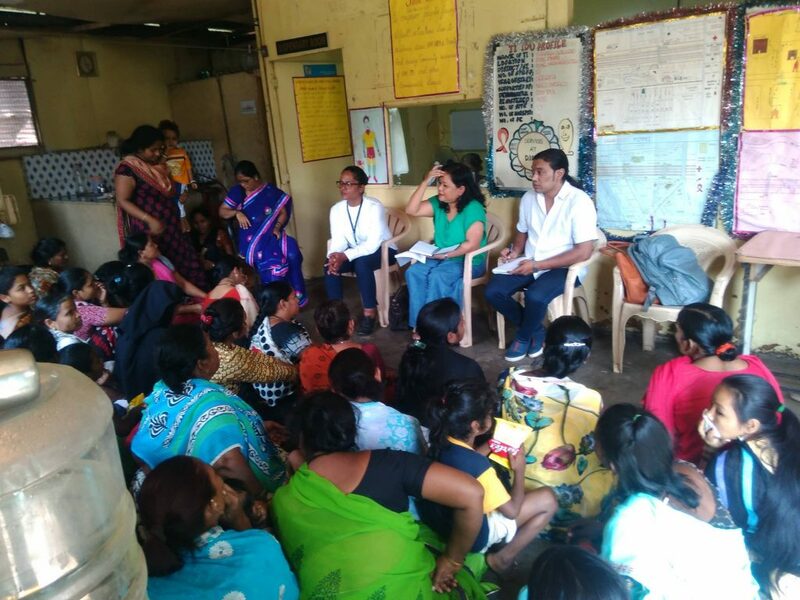 The FGD ended with a Thank you, and all their names were taken down, and all 42 women were paid the amount of Rs 250.00 along with a snacks hamper worth Rs 100.00. The topics of Gender based violence was discussed and an overview of the W.I.N.G.S (Women Initiating New Goals for Safety) Project we given to the participants. There is going to be a 6 month pilot process of this project in Pune. Are the services accessible to WUD’s? What kind of harassment do WUD’s face from the Local Authorities? What kind of violence do I face in my intimate sexual relationships? What can be done to reduce Gender based violence (GBV) and Intimate Partnership Violence (IPV)? The main focus of this Project will be to find out how can WUD’s protect themselves from violence? The FGD ended with a Thank you and the participants were requested to be a part of the upcoming Training of Trainers on the 7th, 8th and the 9th of November 2016 in Pune. This Training session will be facilitated by Louisa Gilbert (Creator of the WINGS Module) and Mr Danil Nikitin. The results of this Training will be collected and a Module will be designed for Pune. This will be a non – residential Training session, and the participants will be reimbursed for their travel expenses and meals, snacks and refreshments will be provided for all. Daily amount of Rs 250 cash can be given for travel, in case it is more then actual bills will have to be submitted.